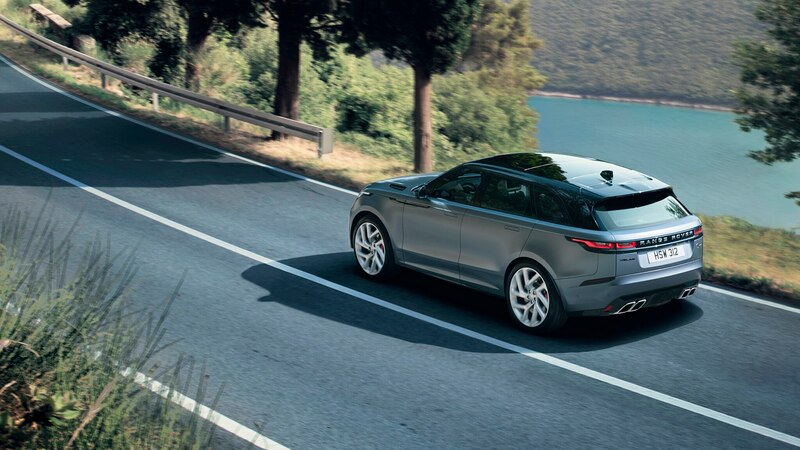 Get one while they're hot—it's a one-year-only model. 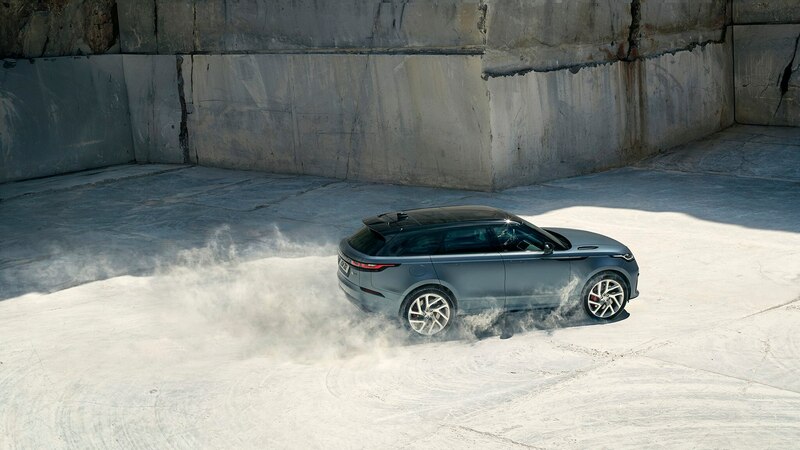 The Range Rover Velar looks fantastic, is extremely comfortable, and performs surprisingly well off-road. 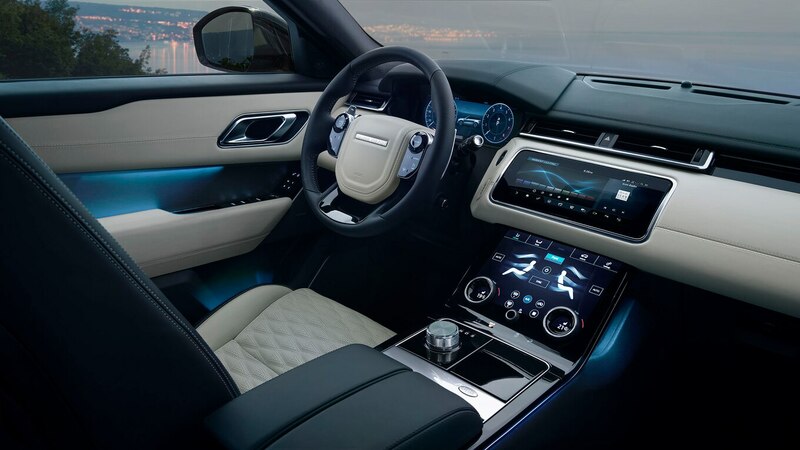 But what if zero to 60 mph in 5.7 seconds isn’t quick enough for you? 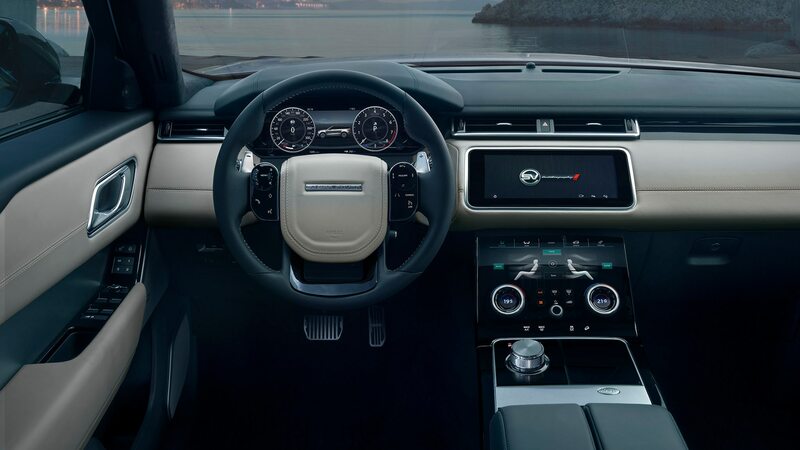 That’s where a new variant comes in, one packing not only way more power but also more luxury. 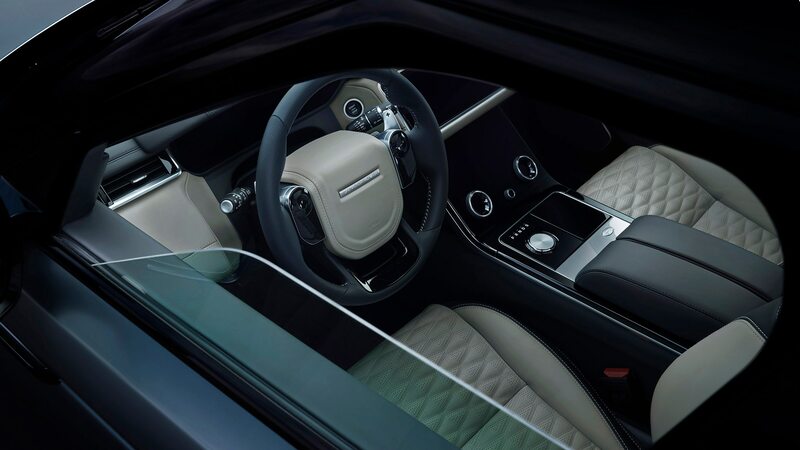 To use its official name, meet the Land Rover Range Rover SVAutobiography Dynamic Edition. 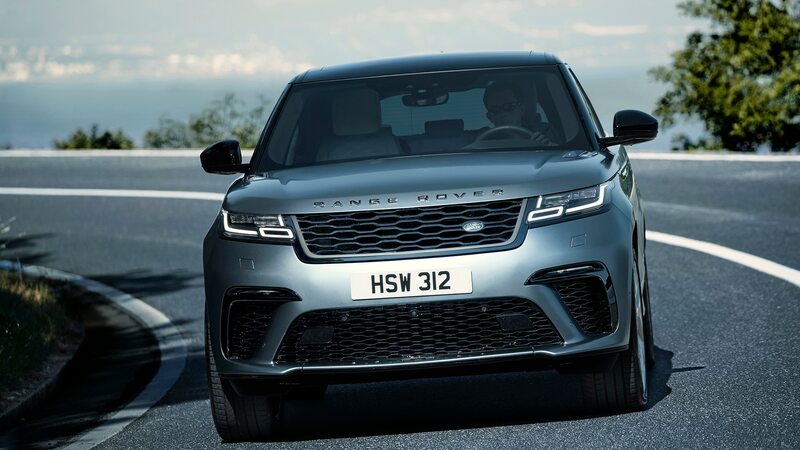 You can spot a Velar SVAutobiography Dynamic Edition thanks to a redesigned bumper with much larger air intakes. 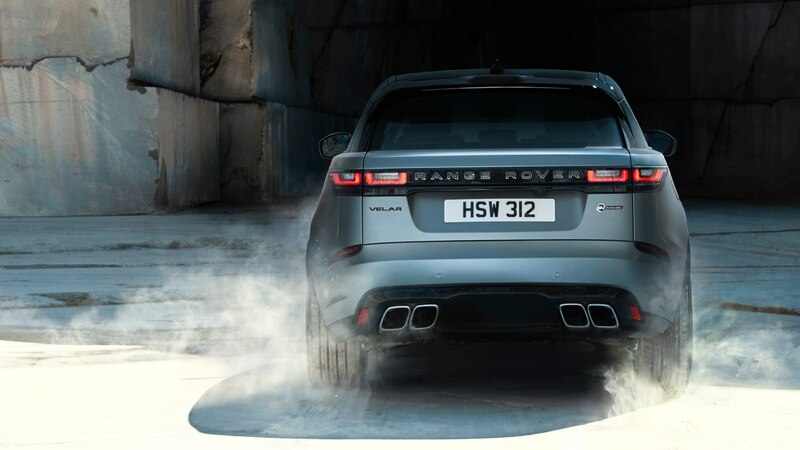 The rear has also been modified to accommodate a massive quad exhaust with tips large enough to live in. 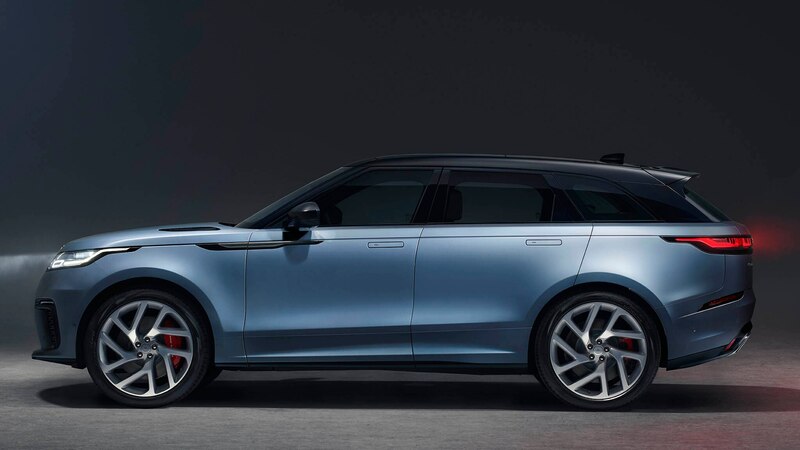 A black roof and 21-inch wheels with red brake calipers come standard, but 22-inch wheels and black calipers are optional. 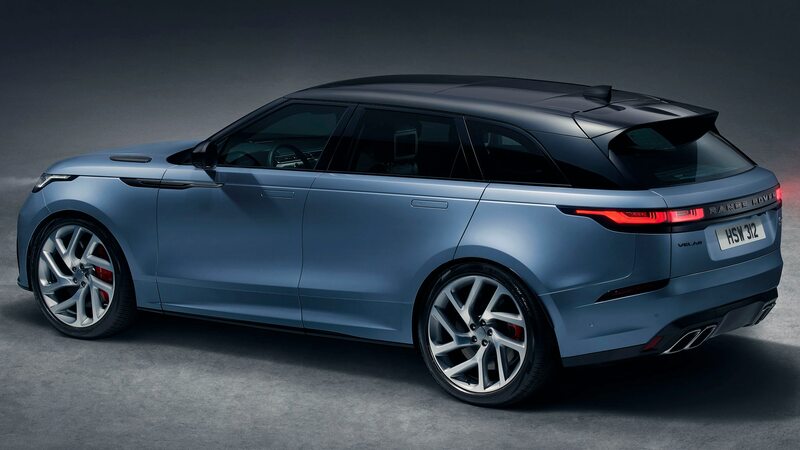 It’s also the only Velar available in this particular shade of metallic blue. 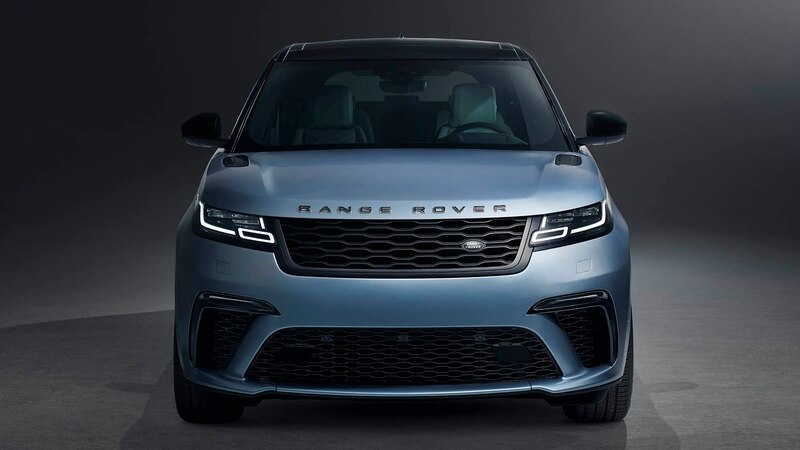 Inside, the Velar attempts to live up to the SVAutobiography part of its name with premium quilted-leather upholstery, heated and cooled 20-way-adjustable massaging seats, a sportier steering wheel, aluminum paddle shifters, knurl-finished controls, and an optional carbon-fiber trim package. 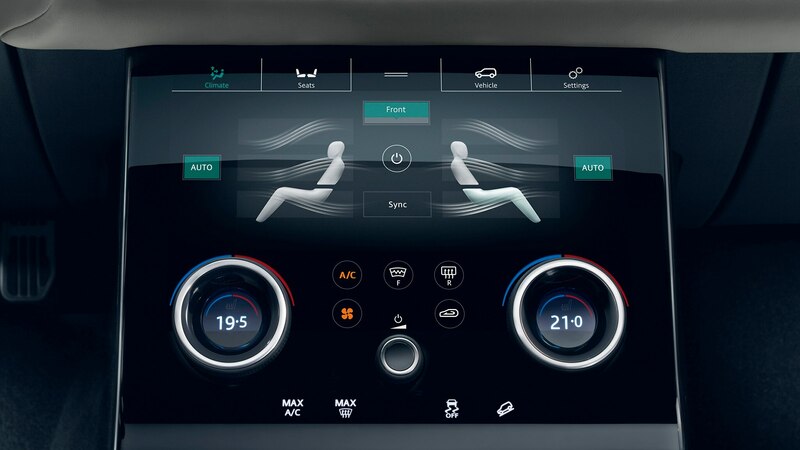 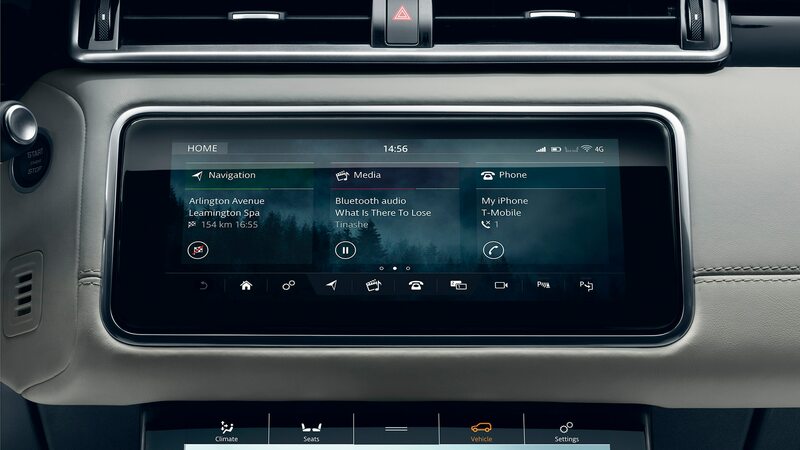 But as fancy as the cabin looks, the stuff we’re most interested in is under the skin. 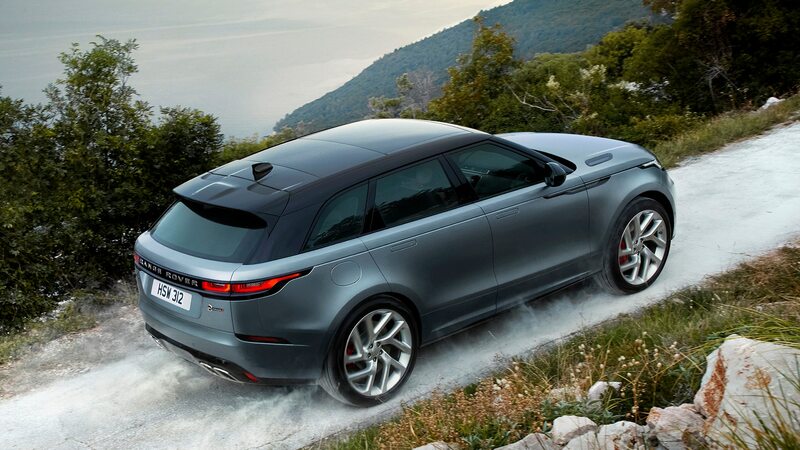 For one, it has a supercharged 5.0-liter V-8 cranking out 550 horsepower and 502 lb-ft of torque. 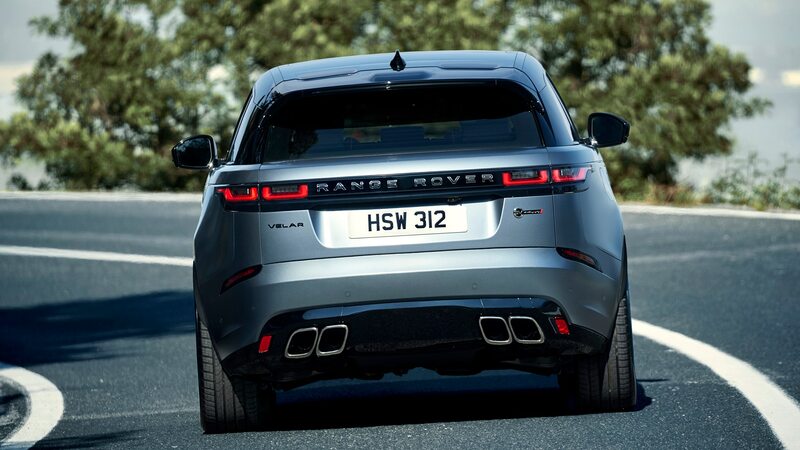 That’s enough to run from zero to 60 mph in a claimed 4.3 seconds on the way to a top speed of 170 mph. 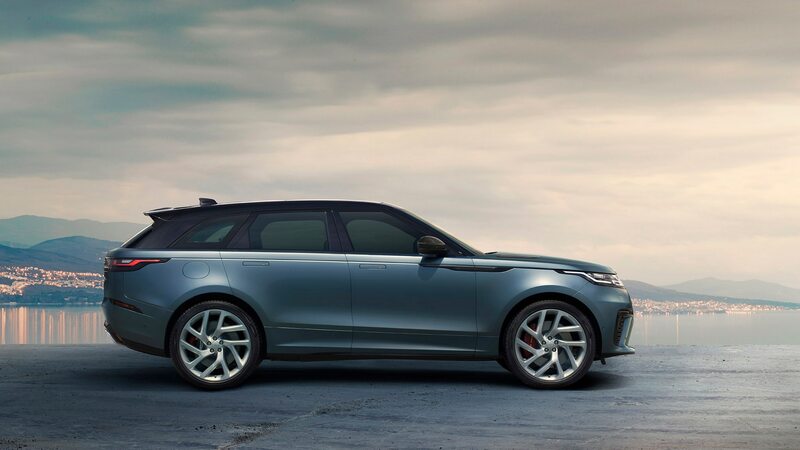 To rein in all that extra power, Land Rover added lightweight 15.5-inch front and 15.6-inch rear brakes. 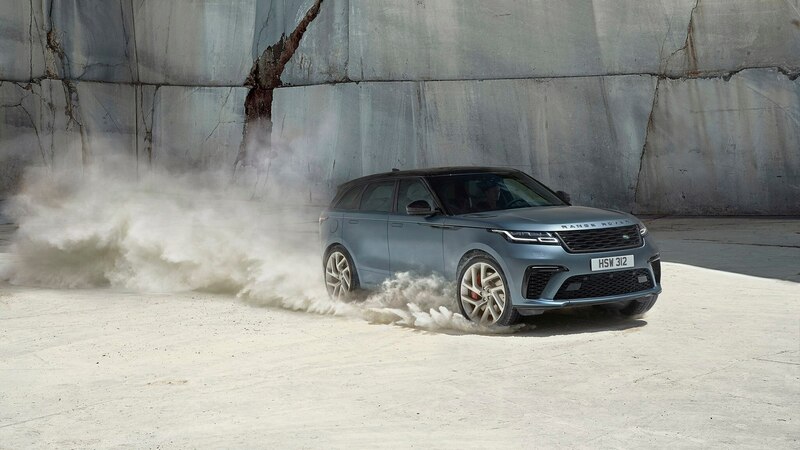 You also get an improved all-wheel-drive system capable of sending as much as 100 percent of its power to the rear, an upgraded rear locking differential, a sport-tuned eight-speed transmission, and more performance-focused steering and suspension setups. 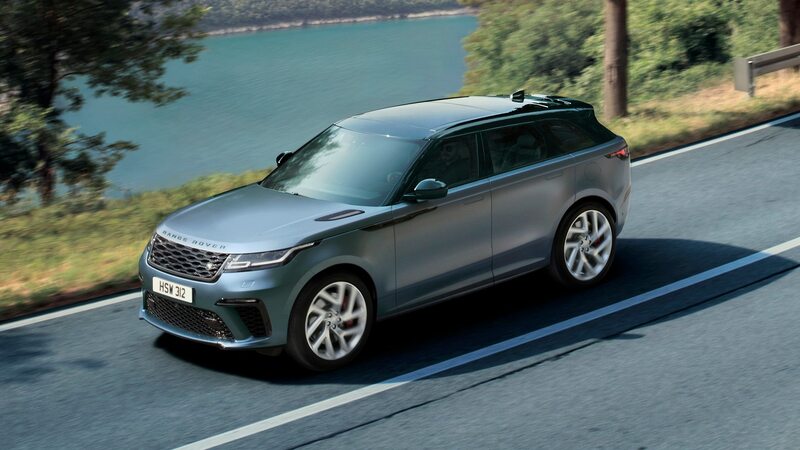 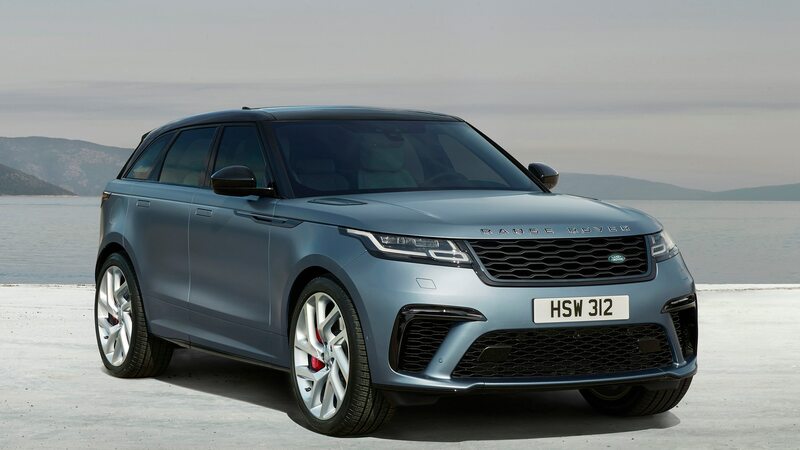 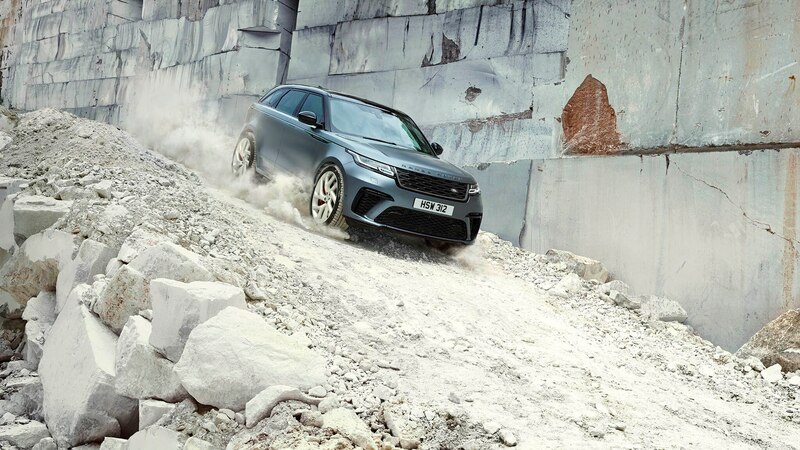 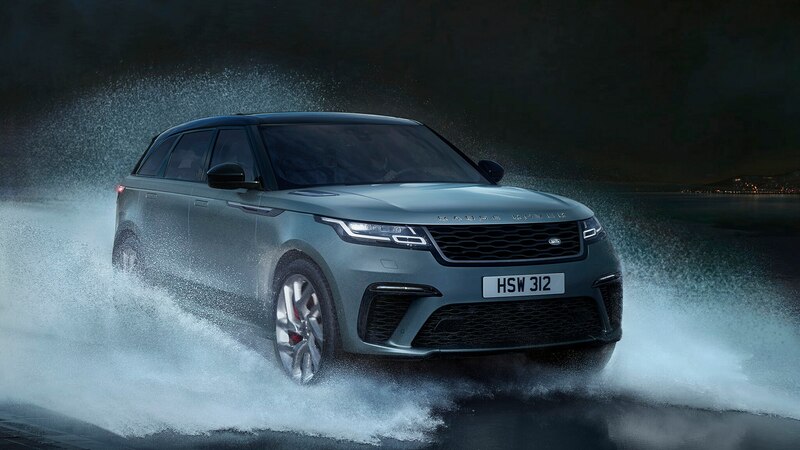 To emphasize the Velar SVAutobiography Dynamic Edition’s V-8 engine, Land Rover added a multi-mode sports exhaust. 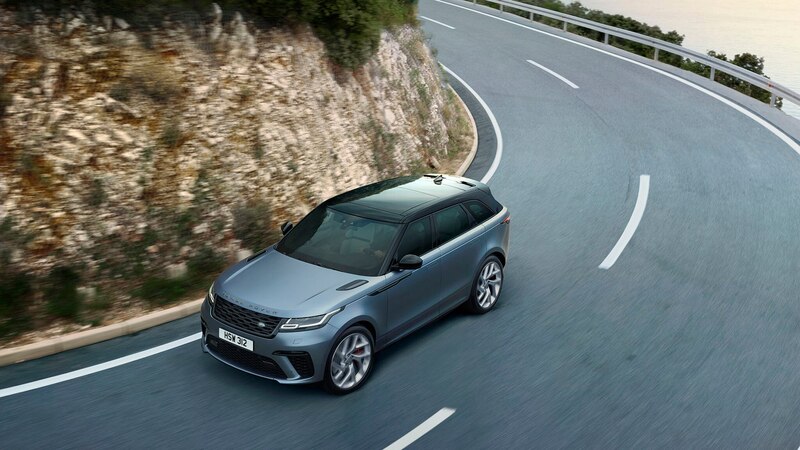 It also happens to be more than 15 pounds lighter than the standard Velar exhaust. 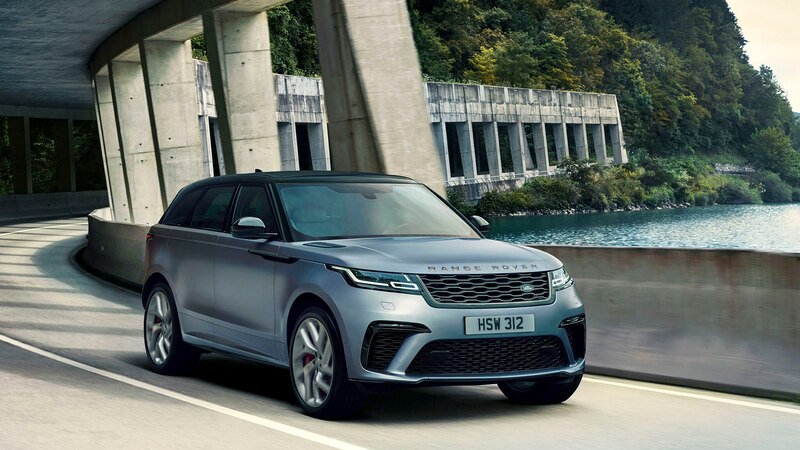 And because a 5.0-liter V-8 will definitely be thirsty, you get a 21-gallon gas tank instead of the regular 16.5-gallon tank. 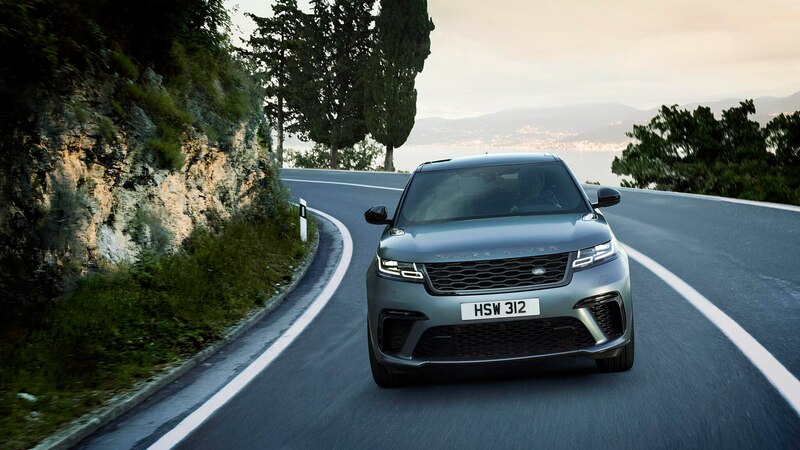 At the moment, the on-sale date and U.S. pricing aren’t available, but we do know the SVAutobiography Dynamic Edition will be £86,120 in the U.K. That’s quite an increase over the R-Dynamic HSE’s price of £60,925, and if we did our math right, a proportional price jump would put the U.S. price right around $105,000. 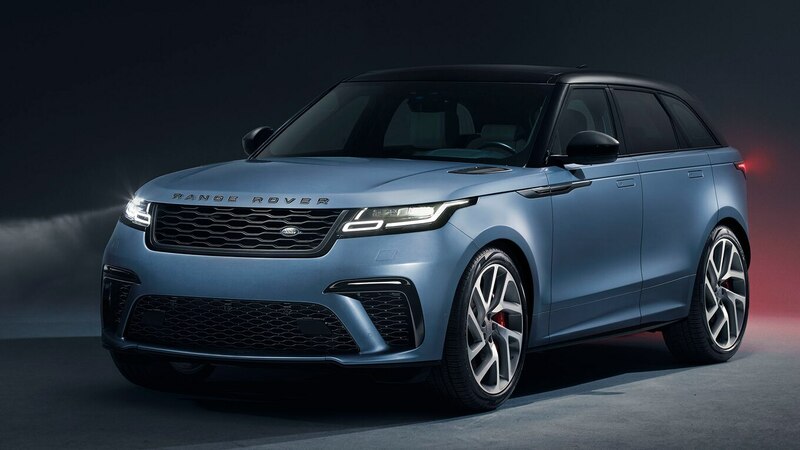 It will be sold for one model year only. 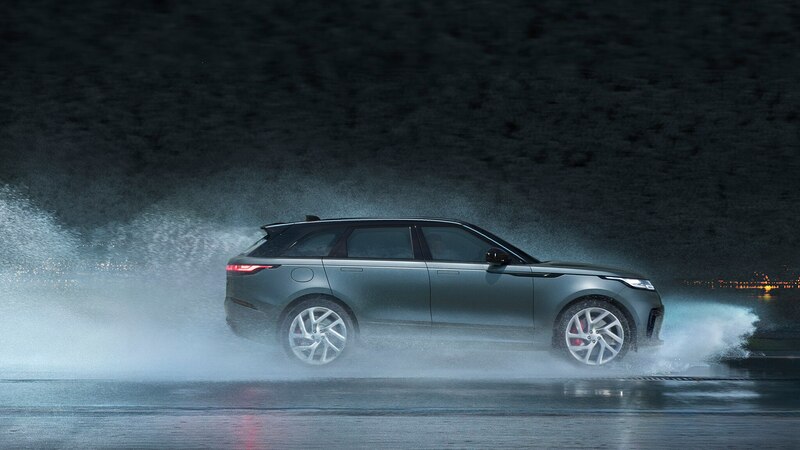 Get one while they’re hot—it’s a one-year-only model.